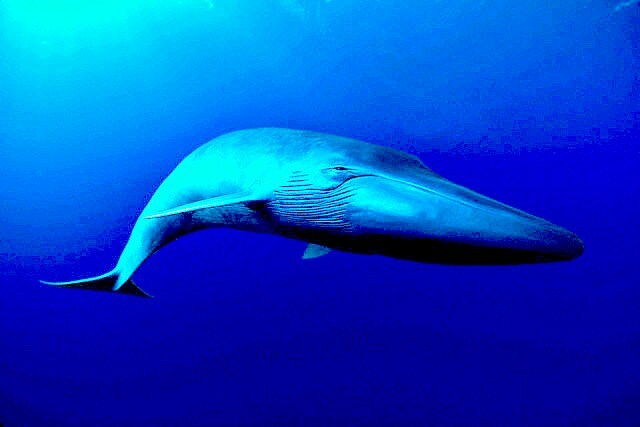 Years ago specimens of blue whale regularly reached 33m. Due to overhunting most blues now average a length of 26m. It is hoped that the legislation on whaling will mean the blue will live long enough to attain its former size.